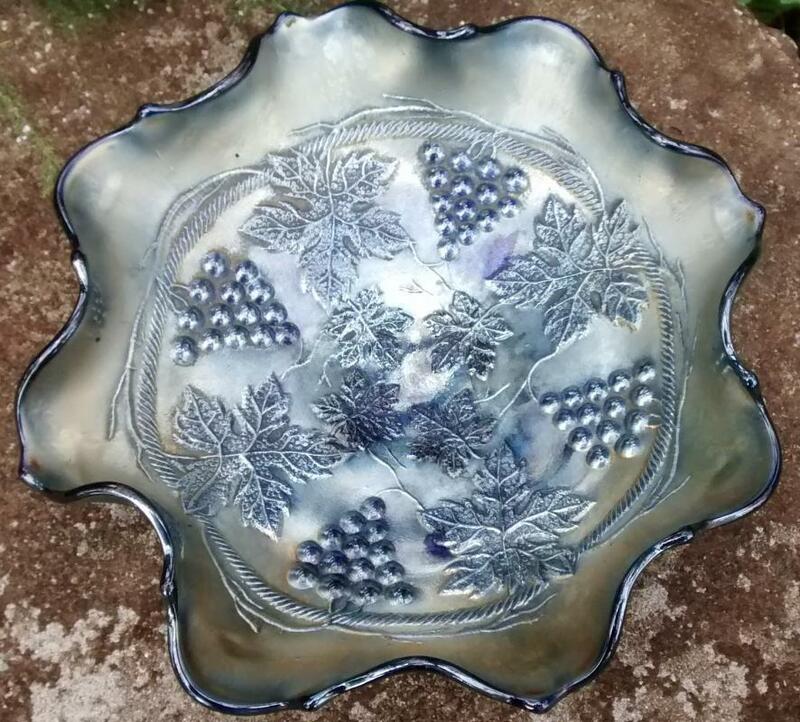 "Grape with Cable" round footed bowl with ruffled rim. 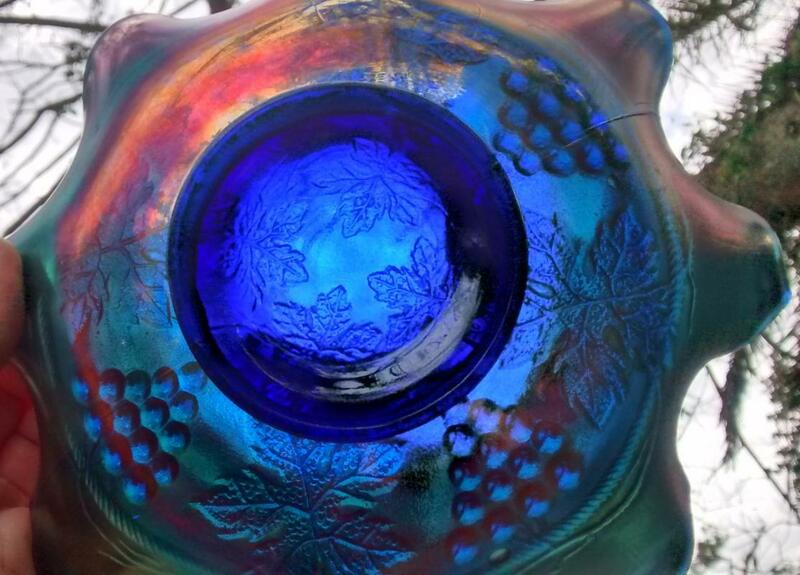 Cobalt blue glass with iridescent carnival finish, made by Fenton from 1921-25. 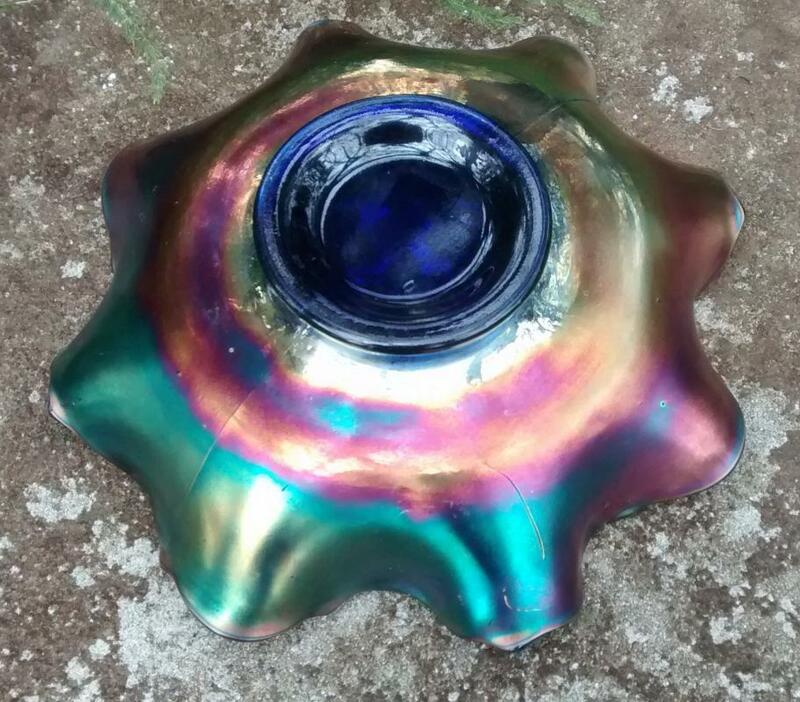 Measures 7.5"d. Beautiful luster, in excellent condition; no chips or cracks. Inglenook Antiques...Established 1989. 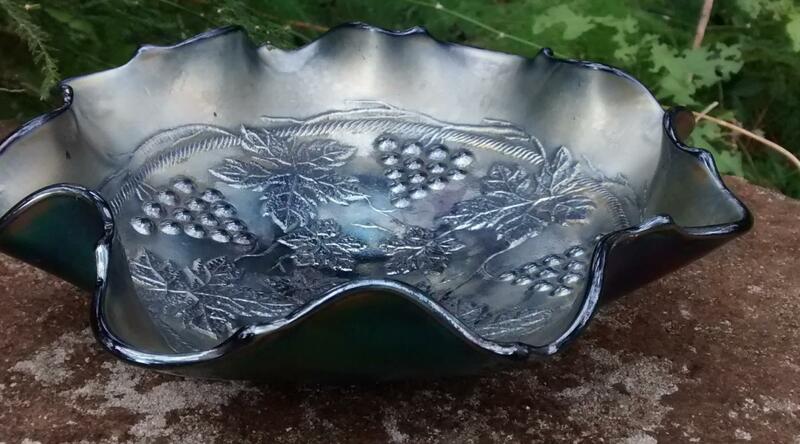 Items Similar To "Fenton Carnival Glass "Grape with Cable" Round Footed Bowl Blue 7..."